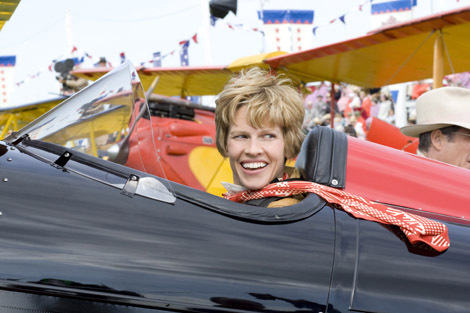 I have always loved the story of Amelia Earhart. She was such a strange woman in her appearance, her passions (for a woman in her era) and in her mysterious disappearance. Pj rented it for me a few days ago, so I built a tent in the living room with dining room chairs and a table cloth, got some gold fish crackers and juice out and Olivia and I watched it together. Amelia tells the story of Amelia Earhart, the world famous aviatrix. She was the first woman to fly alone across the Atlantic Ocean, the first woman to be awarded the Distinguished Flying Cross, founder of "The Ninety Nines" organization for female pilots and a pioneer for Woman's Rights. She was also the first person to ever fly alone from Oakland, California to Honolulu, Hawaii. During her 1937 second attempt to fly completely around the globe, she disappeared and has never been found. The movie told her story beautifully! It was a visual masterpiece and very accurate but sadly, lacked in emotion. Amelia Earhart was a very passionate and fascinating woman and the movie failed to portray her as such. It was difficult to relate to her as a person and see her inner struggles, thoughts, worries, etc. At any rate, it wasn't a bad movie- At least, I didn't think so! I just wish they would have developed her emotional character better. The sets, scenery, costumes and everything was perfection. The beautiful costumes were designed by Kasia Walicka-Maimone, newbie to the world of film costume design. 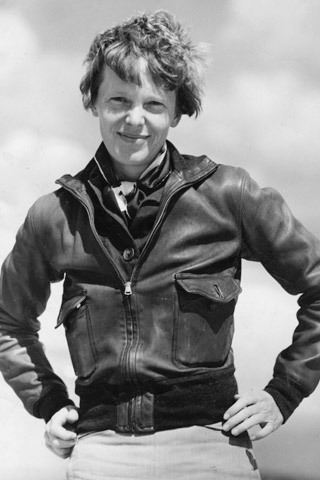 Aside from being quite the pioneer in her time, Amelia Earhart has turned into a fashion icon. Can you believe a gal like this lived in the 1920's? I must see this movie! You're right Hillary Swank really looks like her. A perfect Friday Night Movie for the anniversary of womens right to vote! Cheers! I saw this movie and I concur. Not bad, visually it was lovely, but it did seem a tad flat. She was a fascinating woman! Love her! She's always been one of my idols since I was a little girl. Oh I LOVED that movie!! We watched it a couple of weeks ago. It is so fun to meet other bloggers! Ah...so many wonderful blogs...but sooo little time to do so...in my neck of the woods! I watched this movie last month, my husband took it home just for me =) I like it. I love her hat in the first photo. Lovely! 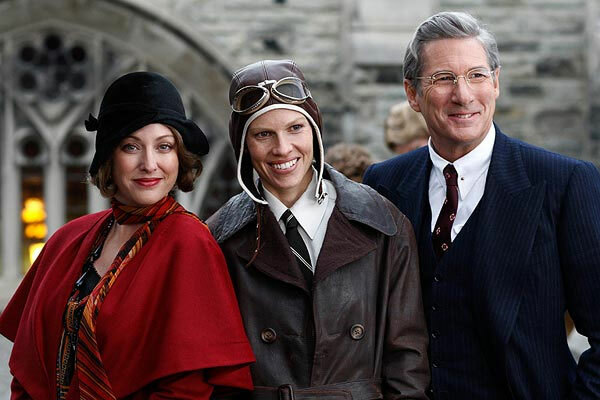 her post-makeup likeness to earhart is quite uncanny, must say.